is Moran Professor of Conservation and Development at Downing College, Cambridge and author of Green Development (2009). The scene could have been repeated in a thousand protected areas in Africa: a small line of visitors walking carefully in the savannah, accompanied by a local game guard with a rifle. We were approaching an old female elephant on foot, in an area set aside for wildlife in a remote corner of the Zambezi Valley. I had seen plenty of elephants in the wild before, but always from the safety of a vehicle. I felt intensely aware of the noise of my movements and highly conscious of the direction of the wind. It struck me that the tree I stood behind was about the same size as the one the elephant had just gently pushed over. The elephant population in Zimbabwe was buoyant at that time, and the thorn bush around us crackled as the rest of the group moved around the old female we were watching. The country was empty of people, with only visitors and managers allowed to enter. As a result, the landscape looked wild, but in fact it had once been grazed and farmed, and was now carefully monitored and managed for wildlife conservation. Conservationists love charismatic species such as elephants. They appear on brochures, websites, and logos. The catastrophic decline in elephant numbers due to illegal hunting in the 1970s (and again now) provides one of the longest-running and most clear-cut stories about the plight of wildlife in the modern world. 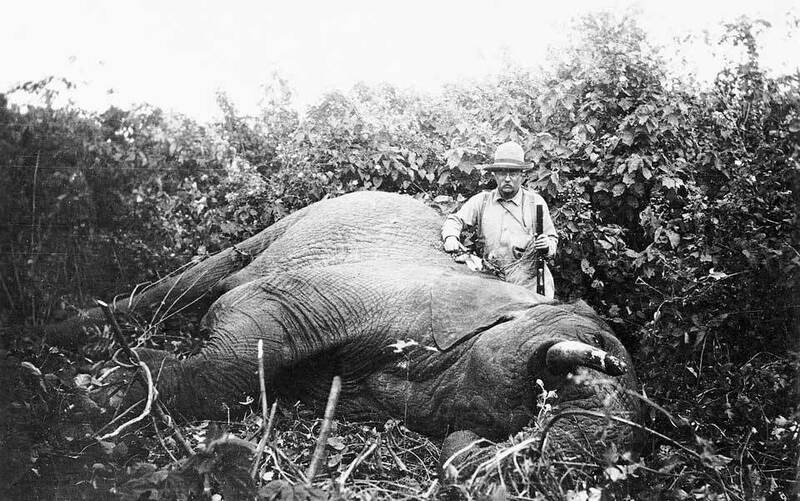 Who could forget the images of elephant carcasses, with their tusks removed, rotting in the bush? Or the huge pile of confiscated ivory set on fire by Daniel Arap Moi, Kenya’s President, in 1989? Tourists also love elephants, and wildlife holidays in game reserves and parks offer a deeply romantic experience of wild creatures and people in apparent harmony in a remote, unspoiled land. In establishing protected areas for species such as elephants, conservation creates special places where the normal destructive rules of engagement between people and nature do not seem to apply. However, nature reserves and national parks — or, in broad terms, ‘protected areas’ — are much more than a romantic idea. In the Anthropocene era, humankind is an increasingly dominant ecological force across the planet, from the tropics to the poles. Biodiversity is in decline everywhere, and the human impact on nature includes over-harvesting and overfishing, agricultural intensification and the growth of cities, toxic chemicals, ocean acidification, climate change, and many others. There is a real possibility of reaching ‘tipping points’, or changes that cause permanent shifts in the state of global ecological systems. The loss of global biodiversity is the focus of huge efforts by charitable foundations, non-governmental organisations, and governments. The nature of the challenge is widely researched and, broadly, well-understood, yet international biodiversity targets are not being met. Recognising this, parties to the Convention on Biological Diversity pledged in 2010 to create more and better protected areas (at sea as well as on land). This is the familiar strategy of setting aside spaces for nature, which has dominated modern conservation since the late 19th century. 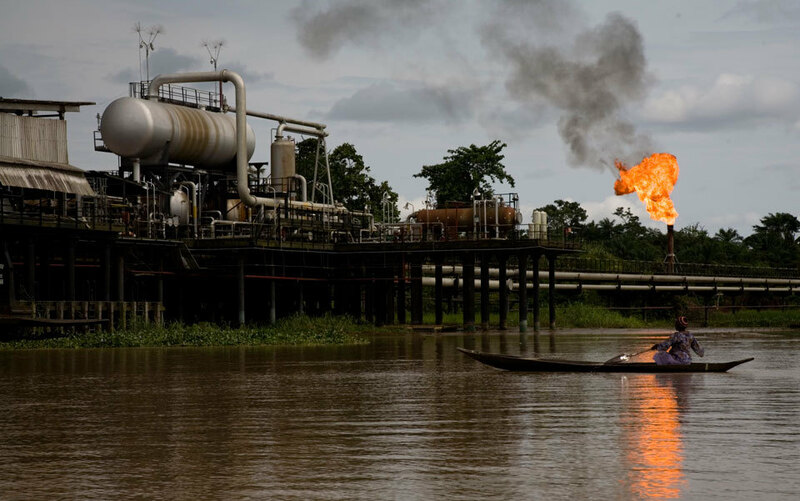 Proponents of this strategy argue that efforts should focus on those areas that are still relatively unchanged by human action — most of all, the tropical frontier, where the rate of biodiversity loss is greatest. In the words of a 2011 article in Conservation Biology, the chief priority is to ‘identify remaining intact ecosystems at local extents, to protect them, and to remind the public of them’. In his poem ‘The Explorer’, Rudyard Kipling wrote of ‘Something lost behind the ranges. Lost and waiting for you. Go!’ Back in 1898, this refrain epitomised the Boy’s Own spirit of colonial adventure. Now it could be the marching song of global nature conservation. But there are worrying signs that this emphasis on preserving the wildest and most pristine places is mistaken. Parks and protected areas cannot save the world’s biodiversity. If that is why we fence, patrol, fund and manage them, then we need to find out what’s gone wrong. Part of the problem is biological. Protected areas such as national parks do help preserve the animals and plants inside them, if the areas are large enough. Yet, despite the fact that there has been a huge increase in both the number and extent of protected areas through the 20th century, biodiversity loss has continued apace, accelerating in many regions. What is going wrong? The problem is that protected areas become ecological islands. In the 1960s, a famous series of experiments on patterns of extinction and immigration were conducted in the islets of the Florida Keys by EO Wilson and his student Daniel Simberloff. Their findings became the basis of the ‘theory of island biogeography’. Simply put, islands lose species: the smaller the island, the faster they are lost. Since then, ecologists have recognised that these islands of habitat need not be surrounded by a sea of water. In Amazonia, ecologists conducted experiments on land that had been converted from forest to farms: islands of trees in a sea of dirt. They preserved square blocks of forest of different dimensions and studied the effect on diversity. Edge effects — the increase of sun, wind and weeds at the boundary between forest and cleared land — changed the microclimate of the forest, and species were lost. The smaller the remnant forest patch, the faster the species disappeared. Landscape ecology, the science of animal populations, and studies of ecological networks all point the same way. Small protected areas surrounded by land without suitable habitat will not be sufficient to protect global biodiversity. And for large mammals, a park that is ‘too small’ might in fact be very large indeed. One of the greatest conservation challenges in Africa is to manage elephants, whose enormous ranges cannot be contained even in the greatest of parks. One response is to seek more and bigger reserves, or to build corridors between them (‘more, bigger, better and joined’ was the slogan of a UK Government report Making Space for Nature in 2010). Yet, at most, a protected area strategy will create biodiverse islands on a fraction of the Earth’s surface (perhaps 17 per cent) leaving the rest of the Earth (to which humanity is restricted) radically transformed, and perhaps permanently impoverished in diversity. Science is not the only critic of protected areas. They are often resisted and subverted by the people who have to live with them as neighbours. To understand why so many people around the world feel a burning resentment of protected areas from which they are excluded, we need to know more about their history, which starts in the 19th century — the heyday of empire and expansion of the Western world. In 1999, J Michael Fay, an ecologist working for the Wildlife Conservation Society, walked over 3,000 km through the forest of the Congo Basin. This ‘megatransect’ was to complete an ecological and vegetation survey, but also to highlight threats to the Congo Basin forests from logging, mining and hunting. He succeeded brilliantly. In 2002, Gabon’s president Omar Bongo created 13 new national parks in one go, a coup de théâtre that made him the toast of the 2003 World Parks Congress. In his subsequent book on the megatransect, The Long Follow (2006), the science writer David Quammen compared Fay in his obsessive trek through the jungle to Kurtz, the mad, disillusioned trader in Conrad’s Heart of Darkness. Meeting Fay in the jungle, Quammen said he felt ‘like Stanley addressing Dr Livingstone’. It was an apt comparison — Stanley was an American journalist who found, sensationally, the empire’s most famous and charismatic missionary, half-lost in the depths of Africa. The imperial comparisons were no accident. The tropics, and Africa in particular, had exerted a powerful attraction on naturalists since the dawn of European empires in the 17th century. By the 19th century, museum and zoo collectors and big-game hunters were making expeditions to bring back all kinds of plants and animals as specimens and trophies. This tradition was the rootstock for 20th century conservation — founded in a mix of curiosity, control, and exploitation of the far reaches of empire. Many of the world’s biggest conservation organisations were founded at this time, some as zoos — themselves a direct expression of imperial collecting. The Frankfurt Zoological Society was founded 1858, and the New York Zoological Society (now the Wildlife Conservation Society) in 1895. The Society for the Preservation of the Wild Fauna of the Empire, established in London in 1903 (and still going as Fauna and Flora International), drew its founding membership from colonial administrators and big-game hunters as well as prominent naturalists. High-profile American conservationists such as Theodore Roosevelt moved between the internal frontier of the American West, and the frontiers of European empire, in America and Asia. After the Second World War, conservation became truly internationalised through the International Union for the Conservation of Nature (IUCN), the United Nations, and an increasing number of non-governmental organisations, such as what is now the World Wide Fund for Nature (WWF) and the Nature Conservancy in the US. In the 1950s, conservationists began to focus systematically on species diversity, and threats to it, through international instruments such as the Red List of the IUCN Species Survival Commission. WWF was shaped by a founding manifesto that declared that conservationist organisations would ‘need above all money, to carry out missions and to meet conservation emergencies by buying land where wildlife treasures are threatened, money to pay guardians of wildlife refuges… For sending experts to danger spots and training’. Conservation had become both a global battlefield and a mission, as it continues to be. Conservation International’s film Hotspots (2008), which showed scientists toiling heroically across the globe, surveying and protecting nature from the advancing tide of brash humanity, declared itself part of a ‘war to save tens of thousands of species’. Organisations such as WWF grew dramatically in the post-war period, from small clubs to enormous corporations, with millions of members and multi-country international operations. A 2009 study by Dan Brockington and Katherine Scholfield of the University of Manchester identified 278 conservation organisations working in sub-Saharan Africa, almost half of which were based outside the continent (and almost a quarter in the US alone). By the end of the 20th century, the global conservation movement had a massive funding and membership base in developed countries, while much of its effort was focused on stopping the transformation of landscapes, and loss of species, in developing countries in the tropics. At the same time, the number of protected areas grew. As former colonial territories gained independence, they also gained national parks. Roderick Neumann, professor of geography at Florida International University, suggests that national parks were ‘products of the creation of the modern nation state’ and ‘as much an expression of modernism as skyscrapers’. By the 1960s, the UN was keeping count of a rapidly expanding global list of parks and protected areas. The land area officially protected as nature reserves of one sort or another doubled in successive decades, expanding like a rash across the tropics. By 2005, there were protected areas in every country, rich and poor alike. In total, they covered almost 18 million sq km, 12 per cent of the Earth’s land surface. Numerous and large though they were, these protected areas were increasingly islands surrounded by land being radically transformed by human action. Some even began to be fenced, like vast zoos, to keep people out and nature in. Conservationists had stepped beyond the frontier of the known lands, beyond the edge of cultivation, to regions where maps still had blank spaces to be filled in. At least that’s how it seemed to them. But they had forgotten something. The places we might think of as intact wilderness are, almost invariably, someone else’s home. I once interviewed farmers who had lost land when the Mgahinga Gorilla National Park was created in Uganda, in 1991. Their land was steep and meticulously terraced. Fields were small and intensively manured, thick with beans, barley or cabbages. Previously, farmers had been allowed to make new farms, even on the slopes of the Virunga volcanoes. When the poorly protected forest reserve and wildlife sanctuary were amalgamated into a new national park, they lost houses, village buildings, and farmland. They understood perfectly well why mountain gorillas were extraordinary and rare animals, and why tourists came to see them, but their sense of injustice was very strong. As Mark Dowie chronicles in his book Conservation Refugees (2009), there is a long history of displacements in the name of nature protection. The Ahwahneechee people were removed from the Yosemite valley by the US military. The great East African parks – including the Maasai Mara and the Serengeti — banned traditional livestock herders who had lived alongside wildlife for generations. And the Mkomazi National Park in Tanzania was the scene of mass evictions in the 1980s. Protecting nature from people is a highly political act. Protected areas are deeply unpopular in many countries — particularly those in the tropics — partly due to the draconian nature of their creation. Many of the places conservation planners see as natural have been transformed by human occupation, and many have people living in them, even if at low density. The creation of parks to protect nature often displaces those people. Some lose access to land for hunting or grazing. Some lose homes and farms. Some own their land, and are compensated according to the law. But in many parts of the developing world, there are no good land titles and, no matter how long that land has ‘belonged’ to a community, they have no right of redress when it is taken away. Conservationists (particularly in the US) often speak about their concern for ‘wilderness’, and their determination to protect what Steven Sanderson, president of the Wildlife Conservation Society in the US, calls ‘the last of the wild’. But that word ‘wild’ — with it connotation of pure nature, untrammelled by culture — is highly problematic. ‘Wilderness’ is a word with powerful meanings in Western culture, and a dangerous one to apply idly to inhabited land where people have a long history of occupation and rights. There is something remarkably short-sighted about the relentless pursuit of the pristine, in a world increasingly transformed by human consumption. There is a certain false comfort in the idea that biodiversity is something far away: to be protected from ever-expanding human populations in distant parts of the world. But the greatest driver of biodiversity loss is economic activity, or rather the growth in natural resource and energy consumption that accompanies it, and for that we need to take responsibility. The reach of the global economy, and its commodity chains, is not limited by border or distance: there are no blank spaces on the map, no territories beyond the reach of human production or consumption. This year, a paper in Nature quantified the ways in which threats to 25,000 endangered species on IUCN Red Lists were linked to the production of 15,000 commodities in 187 countries via more than 5 billion supply chains. The authors argued that global trade in quite ordinary products such as tea, coffee, palm oil, sugar, and textiles was responsible for around a third of the threats to endangered species. Biodiversity loss, they concluded, is ‘a global systemic phenomenon’. The economic machine that consumes biodiverse habitat has its foundation in the world economy. As that economy grows, demands made on the biosphere increase. Particularly in the rapidly industrialising countries of Asia, the standard economic growth model is having some success in helping people to escape poverty, and others to become rich. This is admirable but also, for a conservationist, very disturbing. Global consumption of raw material and energy (and production of wastes) has risen inexorably. Poor countries pursue the model of the rich, and poor people, understandably, dream of becoming wealthy. The problem is that biodiversity shrinks before the combined onslaught of people and wealth. The Western model of consumption is unsustainable for any but a few, and the model has to change in rich and poor countries. Focusing conservation efforts on residual pristine landscapes is a way to treat symptoms not causes. It is displacement behaviour: the real issues are elsewhere. But how do we go about changing the global conservation model with its focus on the exotic and pristine? How do we find new approaches to the very real problems we face in managing our relationship with nature? One answer might lie in an older conservation tradition, which is quieter and more local. Once, nature conservation began at home. That is the root of the word ecology, from the Greek for oikos, or home. At the same time that exotic wildlife and grand landscapes inspired one branch of the conservation movement, another was growing up ‘back home’, where the impact of industrialisation and urbanisation was beginning to bite. This was part of a wider environmental concern, not just for the sake of non-human nature, but also for the quality of human health and wellbeing in issues such as air and water pollution, and urban design. It was a concern about the destruction of the everyday ‘haunts of nature’ that led to the foundation of the Audubon Society in the US and the Royal Society for the Protection of Birds (RSPB) in the UK, as well as the rise of organisations such as the National Trust and the Open Spaces Society in the UK. Nature was important for its beauty or rarity but also for its significance to human society at a time of rapid change. National parks embody deeply rooted ideas about national identity, all the way from Yellowstone in the US in the 1870s to the Cairngorms in Scotland in 2003. In future, how will the Earth’s citizens encounter nature, except virtually, through videos or webcams or gaming simulations? Of course, local nature is still important. In the UK and the US, many organisations focus on local wildlife and wild places, and their importance to ordinary people. Nature reserves are promoted as ‘green gyms’, for their health-giving potential as much as their ecology. Projects abound to get children out of the house to inoculate them against ‘nature deficit disorder’, inspired by books such as Richard Louv’s Last Child in the Woods (2005). But despite the efforts put into camps and trails, minibeast safaris, fungus forays and bat walks, local nature has undoubtedly lost some of its power to motivate conservationists, and its appeal to the public. Nature is no longer here, where we live, but something that exists far away: polar bears on teetering ice floes, orangutans dispossessed by palm oil plantations, or albatrosses in the southern ocean. The RSPB no longer confines its work to the Suffolk coast, or Speyside in Scotland. It has acquired big chunks of rainforest in Sierra Leone and Indonesia, and has projects in British overseas territories. Its magazine Birds offers birding holidays in exotic destinations from Morocco to the Maldives. Conservation might begin at home, but increasingly it leads abroad. Even local environments must conform. Wicken Fen near Cambridge, one of the very few surviving fragments of the once vast fen wetlands of East Anglia, has been a nature reserve since the National Trust acquired it as their first piece of land in 1899. Now it covers more than nine sq km, including both undrained fen and a large area of former farmland, part of a 100-year open-ended restoration project. The National Trust does everything it can to encourage people to visit the fen, and explore its wildlife, history and landscape. The area has been subject to intensive study by naturalists since the Victorian era, and the list of species recorded there is huge (1,082 moths, 1,893 flies, and 1,527 beetles, for example). So there is something rather defeatist in the National Trust’s explanation of the place’s significance: Wicken Fen, they say, is ‘Britain’s version of a tropical rain forest’. This comparison underestimates the power of a more local, engaged, and human-centred form of conservation. Conservation must once again learn how to engage directly with our need for nature - whether we live in Cambridge or in Kenya. This is not to say that the only values of nature are utilitarian, nor easily measured in terms of something like ‘ecosystem services’, and priced by economists. However, given the scale of human demand and our capacity to transform ecosystems, human and natural interests must become more aligned. If conservation is confined to protecting intact ecosystems, it will always be pitched against human material interests, be they those of the powerless poor or the acquisitive rich. In future, how will the Earth’s citizens encounter nature, except virtually, through videos or webcams or gaming simulations? Without contact with nature, where will conservation look for its sense of value, for its democratic support? As part of recognising that the fate of humans and the natural world are bound up with one another, we must reintegrate conservation and justice, taking seriously the welfare and aspirations of people as well as the biodiversity that they live with daily. Industrial and urban landscapes are impoverished in living diversity, and less ecologically resilient in the face of human-generated change. With more than half of the world’s population already living in cities, we need to address the effect of urban environments on health — human and ecological. This new ‘local’ conservation has a global reach. For the sake of both people and nature, the conservation movement must work to develop parks and other spaces where wild species can thrive, clean watercourses where children can play and that absorb floods, novel environments such as green roofs or linear parks, and a culture of celebration of wild nature, from migrant birds overflying skyscrapers to butterflies on window boxes. In rural areas, the need for integration is just as great. As David Kaimowitz and Douglas Sheil of the Centre for International Forestry Research in Jakarta note in a 2007 paper entitled ‘Conserving What and for Whom?’, ‘the future of many, if not most species, depends on what happens outside strictly protected areas’. The 2004 World Parks Congress put forward a new vision for protected areas as ‘the building blocks of biodiversity in an ocean of sustainable human development, with their benefits extending far beyond their physical boundaries’. This intermingling of people and biodiversity points to a subtle, but even more foundational, shift in how conservation works. It is a shift in our understanding of nature itself. Conservation now needs to be designed for a mongrel world, one made up of ecological hybrids, not ‘natural’ ecosystems in some constant state. Scientific understanding of ecosystems has changed. The idea of a balance of nature, of ecosystems in equilibrium, has given way to an understanding of ecosystems as highly variable, subject to changes in state at a variety of interlocking scales. Climate change is part of this, affecting our understanding of what it means to describe a habitat or landscape as ‘natural’. Peter Kareiva, chief scientist for the Nature Conservancy, captures this when he speaks of the extent of human transformation in terms of the ‘domestication of nature’. It is not a matter of finding unchanged nature anymore, but responding to the impacts of that transformation. If nature is constantly in flux, it is a less reliable source of cultural references: how can nature frame fixed human identities when it is itself constantly changing? In her book Rambunctious Garden (2011), Emma Marris talks about the challenge of saving nature in a ‘post-wild world’, urging conservation to celebrate nature wherever it finds a place in and around (and in spite of) human lives and aspirations. This means that conservation will need to move beyond the doomed attempt to protect ecological purity. It will need to restore and sustain biodiverse ecosystems in a world transformed by intense human activity. It will need to care about the weeds on the brownfield site, the remnants of wetlands in the city, and the polluted river that runs through a new town. Conservation must focus on these survivals of nature, persisting in impoverished and fragmented landscapes. This requires ecological restoration, not just protection. Restoration might involve undoing specific instances of harm (pollution, deforestation, species extinction), but it is not enough just to look back, to try to rebuild nature in some fixed ideal state. Restoration must also look forwards, with an open-ended and creative spirit. Conservation must preserve dynamic processes, not something timeless. You cannot fence off nature and expect it to survive: nature works, it doesn’t just exist. There are signs that conservation is starting to change. The need to move beyond the tunnel vision of ‘wilderness preservation’ is now widely acknowledged. Despite their size and corporatist tendencies, many global conservation organisations are struggling to engage with human needs and livelihoods, and are trying to situate conservation regimes in mixed-use landscapes. As grounds for hope, I see that the giant Conservation International, famous for its corporate focus on the protection of biodiversity hotspots, has adopted ‘people need nature to thrive’ for its new tagline. And behind its old-school panda, WWF UK explicitly links the aim of safeguarding the natural world with the challenges of climate change and sustainable resource use. But how fast and how profound are these transformations? In most of the conservation ‘industry’, it is business as usual. The approaches to conservation that served well in the 20th century still dominate, and are not right for the 21st. Pursuing the shrinking frontier of relatively intact ecosystems is important, but not enough. What will happen after this endgame is played out, the final frontier mapped and protected, the unknown known? Above all, conservation has to come back home: to link people with local nature, in the places where they live and work; to express the concerns they have for non-human life, and beauty, and the rhythm of the seasons; to express their need for the things nature provides, from carbon sequestration to joy. Conservation must learn to link these things to our consumption habits, to the coffee we buy or the iPhones we make, or the clean water we drink. And it needs to remember that one culture’s ‘wilderness’ is another’s ‘home’. This will not be easy, but it is not impossible. The world’s very connectivity is a great asset. It is now possible to log on to a website and track the movements of an elephant across the African landscape from hour to hour, as its radio collar sends locations through the mobile phone network. That gives a very different picture of the daily life of elephants from what the average tourist gets: you start to see it from the point of view of the elephants, and the farmers who live with them. In places such as the Laikipia Plateau in Kenya, elephants and people compete for space. Farmers’ fields provide perfect feeding stations and the costs, in lost livelihoods, and sometimes lost lives, is huge. Here, the conservation challenge faced by charities such as Space for Giants is not about creating areas that are protected like fortresses against people, but about building hybrid, peopled landscapes where people and elephants can co-exist. It is time for conservation to stop dreaming of life behind the ranges. TS Eliot, once an anthologist of Kipling, observed in ‘Little Gidding’ that ‘the end of all our exploring/Will be to arrive where we started/And know the place for the first time’. Nature is not a consumer good or a rare resource, to be chased down in some remote tourist destination, but home. How we live, in nature, with nature, and as part of nature, matters, perhaps more than anything else. For more detail on Bill Adams’s academic work (published under the name WM Adams) see his university webpage, or his new blog. The work of Space for Giants in enabling humans and elephants to co-exist is detailed on their website.